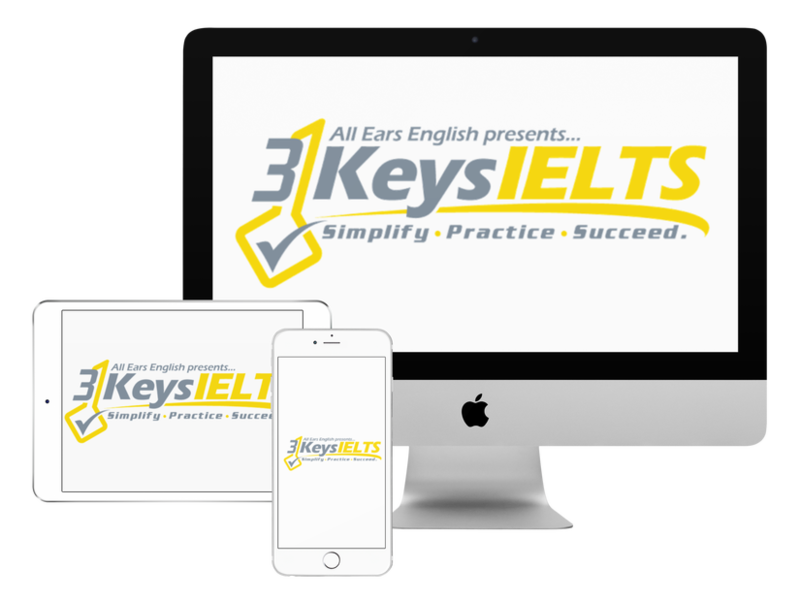 Would you like to increase your IELTS Writing score by a full band point? Today we’ll show you spending one hour with Jessica in a 3 Keys VIP session can push your score higher. You’ll get the story of a student who did this because Jessica was able to find one key mistake that she was making and she told her how to fix it immediately. Jessica met with a student in our course who is a very high level student but she couldn’t get beyond a 6.5 in writing and she needed a 7. Jessica read just two paragraphs of her essay and figured out what was holding her back. The student was trying to shove all of her ideas into the first paragraph. She wasn’t being choosy with the ideas that she put in the essay. What advice did Jessica give? She told her to write down the first point she could think of and then to immediately start brainstorming details and not continue brainstorming main points. Listen to the episode at 8:00 to get a good example of how to stick to one main point and then build out reasons and details including real people and real places for a higher scoring essay. This will give you a higher score for task achievement and cohesion and coherence. Are you adding too many main points to your IELTS writing essays and not enough supporting details? Let us know in the comments and let us know your plan to use this advice to improve.